Fortunately, I was sent an awesome book companion from All Y'All Need. Unfortunately, I didn't have the book. Fortunately Amazon and Barnes and Noble both have it on their sites. Unfortunately, I procrastinated and didn't have enough time to order it. Fortunately, the public library had it listed in their catalog. And fortunately, I was able to pick it up in time for the school week! Do you sense a pattern up there? Fortunately, Unfortunately! 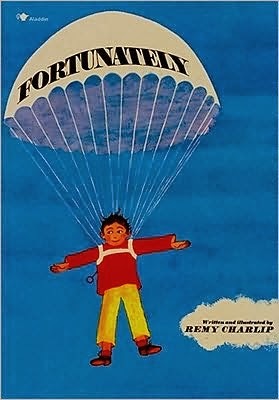 The book that I am featuring this week is Fortunately by Remy Charlip. The book companion is by the awesome group at All Y'All Need. 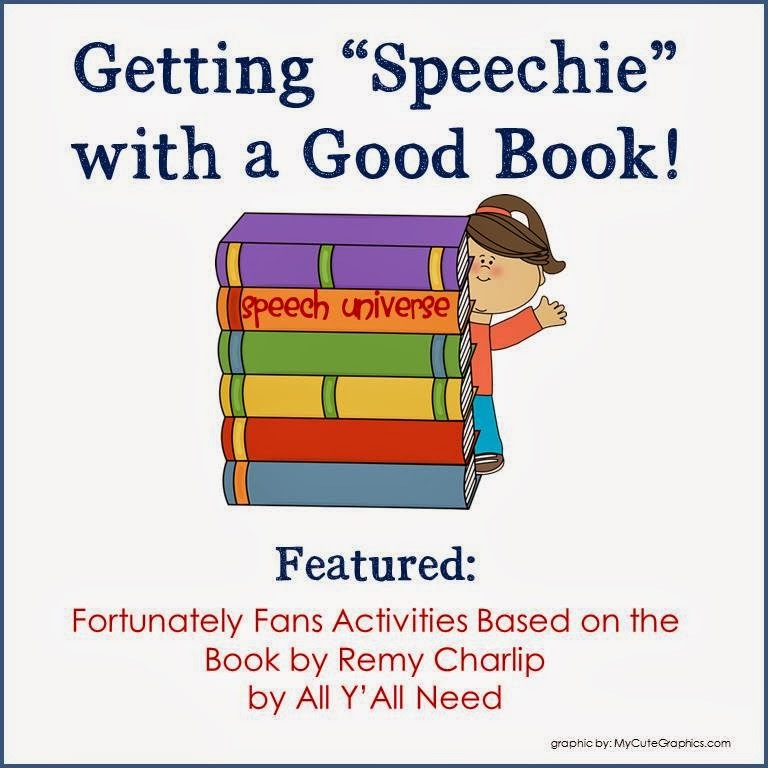 It is titled Fortunately Fans: Activities Based on the Book by Remy Charlip and is available at Teachers Pay Teachers. My students absolutely LOVED this book! I had never heard of it before All Y'All Need passed the book companion on to me. I am so glad they introduced me to this book!!! I thought it was totally hilarious, and so did my students. The book is presented as a series of fortunate and unfortunate events, that my students said were "definitely fiction!" These are great! To begin this section, they provided a list of appropriate speech words and language concepts that you can expect by grade levels K-2. Then, there were differentiated sentence scrambles. These two games were great! The first one focused on determining if an event from the story was fortunate or unfortunate. My students loved talking about these, and I also used the cards to sequence the story with them. The second game uses the same sorting mat, but focuses on real life examples of things could happen at school that would be fortunate or unfortunate. This game is independent of the featured book, and could be used any time. There are four different pages of story element cards. These include: title, author, fiction or nonfiction, characters, setting, plot, beginning, middle, end, problem, and solution. This is a worksheet style activity that focuses on one fortunate event, one unfortunate event, and a favorite event from the story. Fortunately, A Game: can be played traditionally or as a cooperative game- sorry, I didn't get a picture of this one, but it is a really cute board game. Some Humor: Jokes and explanations- There are three pages of jokes that will crack your kids up! This was a great packet to use with a really cute book! Thank you to All Y'All Need for letting me feature it this week! You can find All Y'All Need on Facebook and at their great blog: allyallneed.com Stop by there and say hi! Jen, thanks so much for your kind words, and I'm so happy you liked the book - it's one of my favorites!